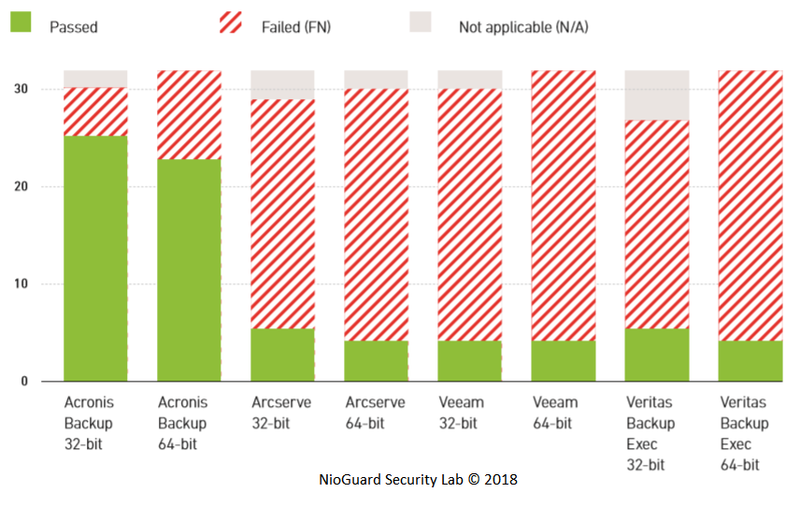 In the light of the growing number of ransomware attacks in which cryptolockers terminate database processes to unlock the database files for encryption (Cerber, GlobeImposter, Rapid, Serpent) and can encrypt local and network backups to demand a ransom (Rapid, Spora), we decided to test self-defense capabilities of the top backup solutions used in business environments available for trial. The test aims at testing sustainability of product’s processes and services against typical attacks to security software described below, as well as self-protection of local backup and product’s files. Ransomware can encrypt local backup files and configuration files that belong to a backup program thereby disabling recovery of the files. Moreover, once access to agent’s or server’s processes is gained, an attacker can delete backup copies of the files not only locally, but also in the cloud on behalf of a backup solution. Read the full report by the link.